Railpictures.ca - Bill Hooper Photo: Eastbound “Canadian” passes the shelter station and the sawmill at Donald BC west of Golden BC. Passenger service has gone from this line and the sawmill closed years ago. | Railpictures.ca – Canadian Railway Photography – photographie ferroviaire Canadienne. 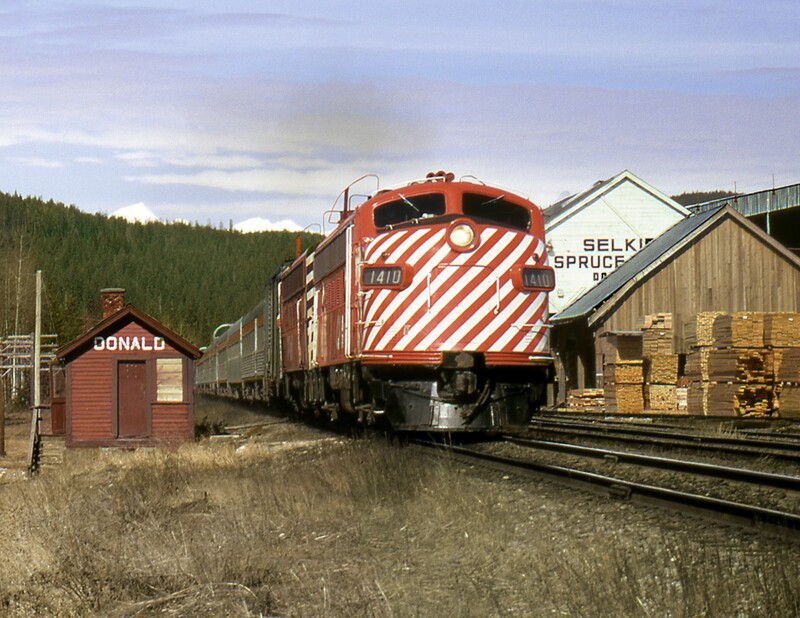 Caption: Eastbound "Canadian" passes the shelter station and the sawmill at Donald BC west of Golden BC. Passenger service has gone from this line and the sawmill closed years ago. Me too Steve! Next to CN narrow gauge ‘Caribou’, the Action Red CP Rail ‘Canadian’ is my favourite! I had (and still do) a Triang CP Rail freight set for Christmas 1971! This was my favourite model train as a kid. Have a soft spot for these!